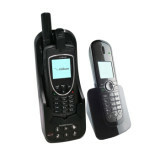 Satellite phones are perfect for your out-of-service escapes to stay safe, and in touch. This is not a complete list of satellite phones available through Victoria Mobile. For questions and information on other brands, please call our office at 250-475-2425. Going to a remote area with no cell coverage? Victoria Mobile Radio now offers Globalstar satellite phone rentals! Call the office at 250-475-2425 for more information about the weekly and monthly rates. 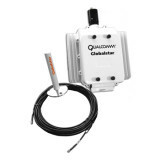 The Globalstar Installation Kit offers flexibility and additional hands-free usability to those who frequently travel in areas where cellular coverage is unavailable. 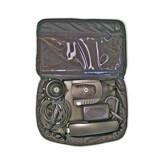 When your vehicle is often your office, the Globalstar Hands-Free Car Kit offers flexibility and additional convenience to those who frequently travel in areas where cellular or radio coverage is unavailable. Iridium's toughest handset, now with integrated GPS to support Infosat's Location Based Services including SOS distress signalling.